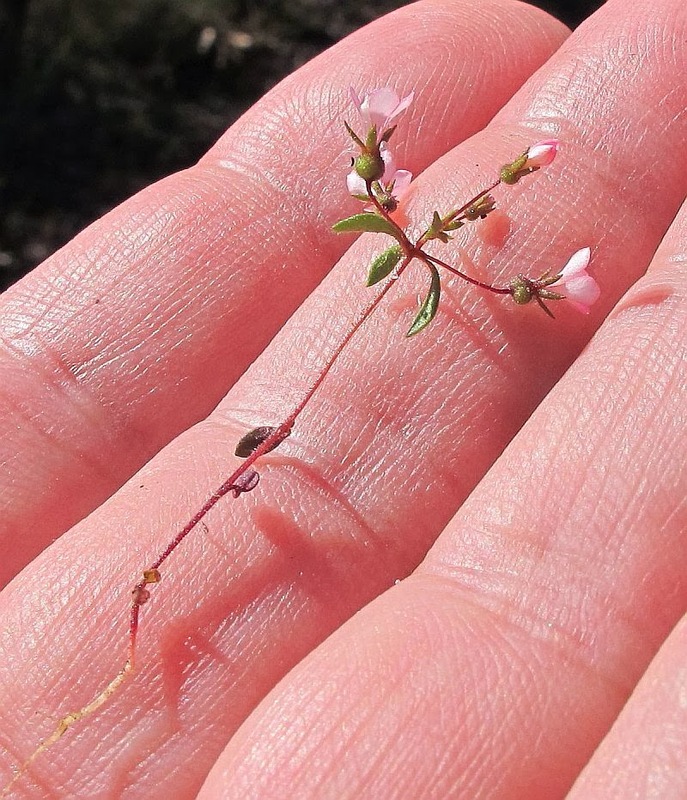 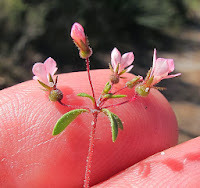 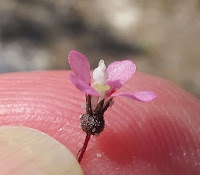 These little plants are closely related to the Trigger Plants (Stylidium), but differ by having an erect column that is partly covered by a hooded labellum (the fifth petal). 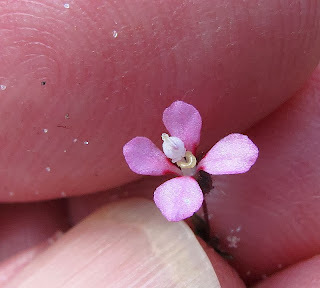 Whereas with Stylidium, the column is bent and held below the 4 large petals and against the small fifth petal/labellum. There are 11 Levenhookia species, which are only found across the lower half of Australia (WA, SA, Victoria, NSW and Tasmania). However 10 of these species occur in WA, with many being endemic to this region. Levenhookia stipitata is a WA endemic and occurs naturally from Kalbarri to the western edge of the Nullarbor; it is also found on the SA Eyre Peninsula, but has been introduced there (probably accidentally). All Levenhookia taxa are small annuals, with L. stipitata growing to 10 cm (4”) in height and frequently occurring in congested colonies of many hundreds, if not thousands especially in sandy hollows. 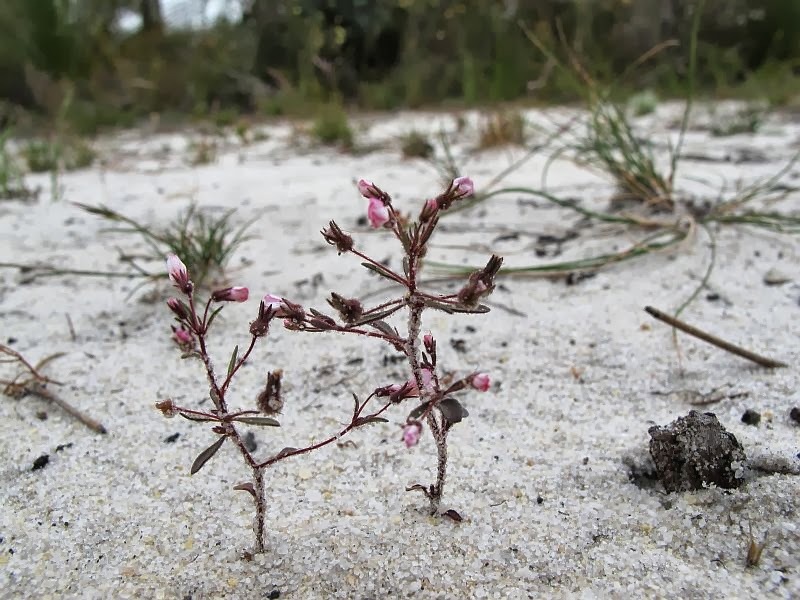 This habitat type is readily colonised by larger plants that will smoother these small Styeworts unless the area is burnt-off on a regular basis, as would have been done by Aborigines in pre-European times. 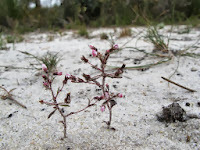 In the locally favoured non-calcareous sandy heath habitat, Levenhookia stipitata is recorded flowering from August to January, but during unexpected periods of hot weather it will simply stop growing and concentrate on maturing its seed, although it will continue with new growth and flowers if favourable conditions return. 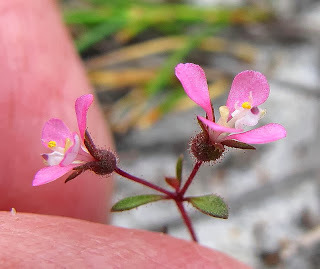 The genus Levenhookia is part of the Stylidiaceae (Trigger Plant) family.